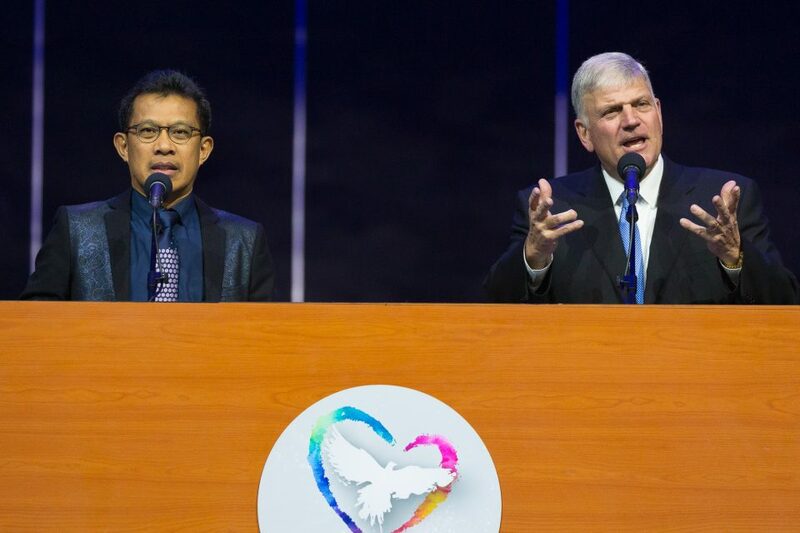 On Sunday night, more than 23,000 people gathered at the Bangkok International Trade & Exhibition Center (BITEC) in Thailand to hear Franklin Graham share the Good News. Another 48,000 streamed the event online. After a time of worship, Franklin shared that anyone can have peace with God by turning from their sins and placing their faith in Jesus. Elephants. Pad Thai. Ornate temples. Exotic spa resorts. These are just a few things that come to mind when one thinks of Thailand. Although most may seem happy in the nation known as “Land of the Smiles,” underneath their rich fabrics and deep traditions, there’s more than what meets the eye. Overhead, giant screens gave everyone in the seemingly endless line of rows the opportunity to have a closeup view of what God was doing. They didn’t have to climb a tree like Zacchaeus did to see Jesus pass by; instead, they could witness the presence of His Holy Spirit right there. And thousands were freed indeed, enlightened not by their own self-awakening, but by the saving grace of Christ. Circled up, two middle-aged women and a prayer volunteer stood near the centre of the crowd. 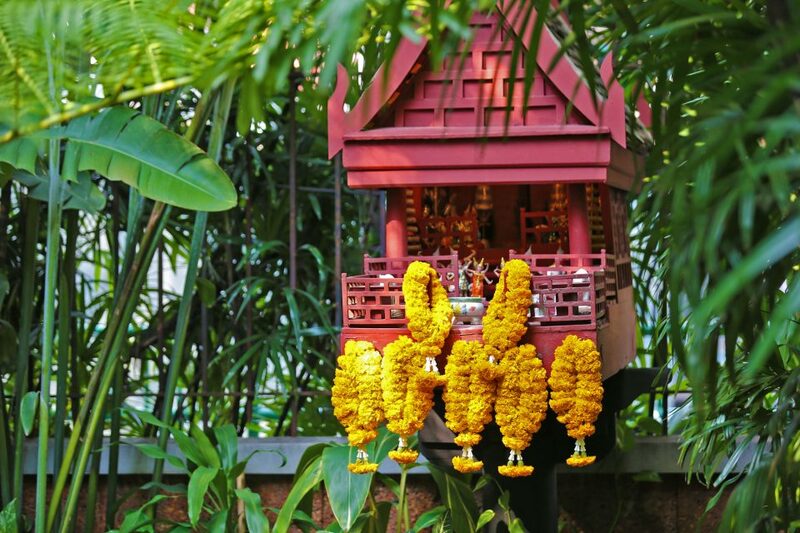 Not only does Thailand have tens of thousands of temples, but It’s common to see spirit houses outside of Thai homes and businesses. Many Buddhists believe they can place offerings in these small structures to receive protection and appease spirits. Do you have peace with God? Start a relationship with Him today.